The clock always ticks ahead in busy times, and it can never be turned back. The past time or what we call history, always takes this busy time and adds us to its great caravan, embracing us, and carrying us across the desert among all the others towards the endless life journey which is located on the far horizon. We are all a sort of traveller and we travel towards our goals, we all have to go on that journey and no one is exceptional. Although 28 years have already passed since the protest happened, its memory is still fresh and alive. If you have made history in your lifetime and if its aim was to realise your people’s desire for freedom and liberation, that true history will live among your people’s hearts forever and it will become an unforgettable memory for future generations because no-one can deny that every page of the history of humankind is made by the life and death struggle to live in this world. Inequality, racial discrimination and injustice were become widespread issues, and the state abused its power at this critical moment, on 12 December, 1985, when several thousand Uyghur students in Urumchi and other cities marched to demand from the Chinese authorities an end to their unequal policies in East Turkistan (Xinjiang Uyghur Autonomous Region, China). The protest, which happened for the very first time 10 years after the Chinese Cultural Revolution, gathered ideological momentum for a democratic Uyghur student movement in the region. Although this protest movement was gradually suppressed, it inspired many Uyghur youths to dedicate their youth to the movement, and they become Uyghur rights campaigners. This is the true story of Aziz Isa, one of the followers of that student protest movement. It tells us how he become victimised, and his subsequent life story as a refugee. 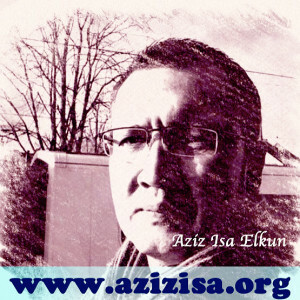 The example of Aziz Isa’s early troubled life experience which is connected to the “12 December Student Protest” in East Turkistan (Xinjiang) should lead us to reflect on what happened there at that time and what is happening there now. Twenty one years ago today, in 1992, a very simple thing happened in Aqsu district (Aksu or Akesu, which is located in the mid-western part of Xinjiang Uyghur Autonomous Region), but it affected a young man’s whole destiny. This story is about a newly graduated Uyghur youth, Aziz Isa, who had just joined the Exit and Entrance Administration Office of the Department of Foreign Affairs Division of Aqsu District Police Department. Aziz worked in that office for only for 10 months, before he was publically discharged from his position because of his past criminal record, in which he was accused of infiltrating the police force by hiding his political criminal record. He was then labelled an “ethnic separatist”. The reason behind this was a simple poster which Aziz had made and posted while he was studying in the 1styear of high school in Shahyar county. That was on 12thDecember of 1986, the day of the first anniversary of the Urumchi student protest, and Aziz displayed his little poster on the office door of the school headmaster. Since Xinjiang became a largest labour reform camp (laogai) in China, many of its oasis cities have witnessed a great number of violent events such as prison escapes, robberies, etc, which are closely related to the inmates in those camps. For example, in 1991, a prisoner escaped from a labour camp and robbed a bank in Shayar, escaping with 500,000 RMB. After this serious incident, Aziz Isa was sent, along with another police officer, to Shayar county police department to investigate the case. In that period, Aziz Isa was not yet permitted to wear the official police uniform because of the regulation that uniforms should be given only after one year of work experience. During their extensive investigation of the criminal records of all previous prisoners (including political criminals) in Shayar county, they found records relating to the incident of Aziz’s poster. Soon after Aziz returned to Aqsu, these records were reported to Yang Xiuming, head of the Aqsu District Police Department. In fact, Aziz’s case which happened in 1986 during his high school days, had already been resolved by the county police department giving him a warning notice and by his school giving him self education. Therefore, he had been allowed to take the college entrance exam in 1988. He studied Russian language as his major in Xinjiang University, and graduated with distinguished results. He had never thought that a simple poster made seven years ago would come back to haunt him, and drive him onto the criminal list. Aziz Isa was born in a medical doctor’s family on 22nd June, 1970. The village he born was called Toyboldi, Shayar County, Aqsu district to the east of the Taklamakan Desert. Aziz is a very modest and thoughtful person, a gifted writer who still continues to write essays and poetry. According to his abilities and education he should have been considered a strong asset to that Police Department, where most of the staff were less highly educated and working in mundane roles. However, because of his poster, Aziz now faced unjust consequences in his new career. That poster which he made seven years ago completely changed his life, and led to him being fired from his first job in his homeland. Also, that ‘irreversible mistake’ became an invisible shadow when he tried to do anything else during those dark years. The head of the Aqsu District Police Department Yang Xiuming held an open meeting for the whole department, and accused Aziz Isa as a separatist who had intentionally infiltrated their police force. He then announced that Aziz should be discharged from his position in order to purify the police force. Aziz was given notice that he was no longer entitled to work in the police or security for his entire life. Once this decision was made, Aziz was publically expelled from the police force. This meant that he could be taken into custody, and examined at any time in his country. This unjust treatment brought a psychological burden to young Aziz’s heart. He went to the Complaints Bureau of the Xinjiang Uyghur Autonomous Region in Urumchi and to the Central Bureau in Beijing regarding these events, but none of these official divisions listened to him or were willing to take on his case. As soon as they heard that he had a past record of supporting the student protest in Urumchi in 1986 they ignored him. Thus, after four years’ continuous efforts, Aziz was still unable to resolve his difficulties. He did, however, gain many insights in the workings of the system during his search for justice. The only concrete thing he obtained was an official letter of confirmation that “this case has been received and will be investigated.” However, in practice no positive action was taken. Aziz learned a lot of priceless knowledge through his miserable experience of seeking justice, and he met many other people who had endured similar cases, or were struggling with other kinds of injustice. Thus, he gained real life experience of his society which he had never been able to know during his formal education. Those experiences helped him to see another side of the system, and taught him about his country’s more brutal realities. During his attempts to make those complaints, he was also illegally detained and denied his freedom because he would not stop his petition. Thus, he endured constant problems until 1999 when he finally decided to leave the country. The consequence of this was that his own country pushed this well-educated and patriotic youth into an oppositional position. In fact, Aziz Isa was not the only intellectual who was pushed into a position of opposition towards the government. Hundreds and thousands of thoughtful intellectuals and youths at that time were became objects of suspicion or we may say objects of fear. Their actions were under constant surveillance, and they could be accused using various labels which were created by the government at different times in order to pursue its own objectives. Since the foundation of the Pepole’s Republic of China in 1949, any person who has attended or tried to attend any spontaneously organized social event which aimed for justice, is given a status or label, and suffers from severe investigation. So, the people who are living under an authoritarian regime feel themselves prisoners, although it is an open prison where they can see the blue sky and might be able to dream of living a normal life as other people do in other parts of the world. However, for a nation whose minds and actions are controlled like a caged bird, this kind of open prison is more dreadful than a real one because here they can feel more pain and grieve, as well as feel endless disappointment for their lack of freedom. Thus, Aziz Isa was forced to leave his motherland, and left his beloved wife with his three year old daughter, and his aged mother whom he loves most of all. He left because he was not willing to live in an insecure life condition in which he had to worry about his personal security every day, and could be investigated for any reason, at any time, without notice. Under these circumstances, Aziz chose to leave China in 1999. He managed to go to Kyrgyzstan, and then came to Turkey and France. He spent about a year in these countries looking for hope and justice, and seeking for democracy and freedom. After a while, he arrived in Munich, Germany. As one can imagine, living in a completely different land was hard for him. He suffered homesickness and it was hard to find a job to survive in a foreign country. He worked at night in a paper recycling factory, during the day, he worked as a cleaner for private companies. He tried his best to survive in Germany. However, he did not forgot his past experience and his people who were living under an unjust regime, and so he tried every possible way to speak for the voiceless Uyghur people in his homeland in this democratic western country. Soon after, his selfless and continuous endeavours allowed him to become an active voice for Uyghurs internationally. It is widely accepted that “what is truly yours will eventually be yours.” By chance, Aziz Isa met a British woman called Rachel Harris who was a researcher on Asian culture and music at London University, and had particular interest in Uyghur music. They fell in love through their common interests, and established a family soon after. Since then, Aziz has finally gained a stable foothold in England. He has started his independent research and has been able to publish his work without restrictions. In addition, he has worked as a multi-lingual translator, and also worked as a reporter in the Uzbek division of the BBC Word Service. He and his wife and several Uyghur artists built the London Uyghur Ensemble, a musical performing group which allows them to promote Uyghur traditional music, and mutual understanding between different cultures through the potential of art. He has been responsible for the Uyghur Branch of the International Pen Centre since 2010, mainly working with the aim of protecting the rights of Uyghur writers to think, write and publish their work freely. He has actively participated in campaigns about Uyghur writers who have been detained and taken into custody in Chinese prisons. He is currently working as a web designer for an IT company in London. Aziz Isa is grateful to the people who have supported him in this foreign country, but at the same time, he feels a sort of pain which he cannot express in words because of his sorrows in his own homeland in the past. This unexpected love and support as well as the success and respect he has earned outside his country always make him recall the bitter sorrows he had in China. This feeling also makes him more homesick, and takes him back to those miserable years when he struggled to petition for his lost job. Like every normal person, he has love for his country where he studied hard in order to contribute to society. However, the iniquitous system forced him to leave his home and live in a totally different world as a refugee. The reason is simple. It is just because he was a thoughtful and patriotic youth. More importantly, he was a youth who was able to distinguish right from wrong. Why? Because at that time although he lived in Shayar, thousands of miles away from Urumchi but he was still influenced by the 12 December 1985 protests in Urumchi. So, it is necessary to know the reality of that remarkable student protest which happened on 12thDec 1985, in Urumchi, the regional capital of Xinjiang Uyghur Autonomous Region. In fact, there were many such protests all over China in the early period of 1985, and Xinjiang was also influenced by these democratic movements. Hu Yaobang (Principal director of the central government in Beijing) expressed his concern about those events, and indicated that his approach was to resolve these issues through “peaceful talk, communication and negotiation” with the student communities. However, his way of considering these events gave rise to disagreement from the ‘left wing’ of the CCP (Chinese Communist Party). Because of his peaceful approach towards those activities, he was forced to resign his position as general secretary of the CCP in central government in 1987. The CCP used a so called ‘party life meeting’ to remove Hu Yaobang from their system using the excuse of “cleaning up the capitalistic elements from CCP system”. Thereby, the student protest of Xinjiang became a victim of a power struggle among the senior leaders within the CCP, but was also labelled a “separatist movement” threatening the country’s integrity, and thus it was turned into a severe conflict as if it had happened between the Chinese and its enemies. Actually, almost every spontaneously organized public event in Xinjiang since the foundation of People’s Republic of China in 1949 is the result of the dissatisfaction of its ordinary citizens with unjust and irresponsible government policies which are contrary to local people’s actual interests. The local people, mainly Uyghurs, are frequently unhappy about the central government’s forceful implementation of unacceptable regulations which are implemented without any regard for public opinion. But their specific complaints or opposition towards CCP policies and regulations in Xinjiang Uyghur Autonomous Region are consistently criminalised, and often labelled as “separatist” or “terrorist”. These ready-made labels make it difficult to clarify the real aim of activities which occur there. These labels also serve as very useful tools for the government, and allow them to take oppressive action in response to its people’s legitimate demands. This kind of blacklisting approach has been widely used by the authorities to oppress its people whenever anyone tries to complain about the local regulations in Xinjiang. Especially, after the “9.11” terrorist attack in USA, China has abused the international terrorism standards, and used the Muslim identity of Uyghurs to attack those who disagree with its aggressive policies in Xinjiang. As a result, CCP has hidden its failed policies and unlawful actions towards Uyghurs. Furthermore, China has accelerated the contradiction between its ordinary people and the regime so that they can legalize the arbitrary system of oppressing its people. In the early phase of this policy, the rest of the world was too little aware of China’s actual definition of “terrorism” and because of the suppression of information many other countries knew very little about what was going on inside the region. Such favourable conditions enabled China to deceive the world about its reality. But thanks to the global information technology we now know about and hear the voices of people in the most remote villages of the world! Although China is still spending extraordinary efforts to block information about what is happening inside, there are still many ways to understand about ongoing abuses. Numerous facts and figures have attracted international attention to the brutalities of the system, and therefore, more and more countries have developed a suspicious attitude towards it. As a result, China’s credibility is constantly decreasing in terms of its approach to human rights. This extreme state response to protest has blocked any possible approach of communication between the Communist Party and its people. Once the healthy bridge of communication has been blocked or broken, there is no possibility for a two-way open dialogue, and violence is the often the result. It is clear that this most undesirable development has appeared not only between Uyghur people and the Chinese authorities, but has also arisen between those Uyghurs who think that the ordinary Han Chinese are their oppressors and the Han people who believe that all Uyghurs are terrorists without deeper understanding. Because of the widespread negative information by the domestic media, many Han Chinese now hold the opinion that Uyghurs are terrorists, or wild people who have to be reformed. It is an undeniable fact that Han Chinese are the representatives of the Chinese government, and they have the sole power in all of the official sectors in Xinjiang Uyghur Autonomous Region. Therefore, many Uyghurs regard Han people in general as no different from the Chinese Communist Party, regardless of whether the Han people are willing to accept this reality. When we focus on the historical events regardless of any ethnicity issue in Xinjiang, we are able to see that the Urumchi student protest of 12thDec 1985 formed a part of the wider events which took place across China, and was closely related to those peaceful protests. Moreover, that protest had much in common with the protests of 4thJune 1989. However, their results turned out very differently because these two protests were made by two different nationalities, as they are categorized under the CCP. For this reason, they were fundamentally differentiated, and were explained as totally different forms of conflict. For example, the student protests which took place in the same year in inner China were considered by Hu Yaobang as requiring reconciliation using peaceful dialogue or two-way dialogue, but the protest in Xinjiang Uyghur Autonomous Region by Uyghur students was classified and treated very differently. Aziz Isa’s case which we reviewed earlier is typical of hundreds and thousands of similar cases among Uyghur intellectuals’ experiences. The June 4thstudent protest in Tiananmen Square in which students called for anti-corruption and a democratic China has been called an anti-revolutionary attack, and recently has been designated a “political storm”. However, the equivalent student protest in Xinjiang is regarded as a separatist movement, and has never been able to achieve peaceful resolution. Particularly after Jan 1987, once Hu Yaobang was ousted from his position in the CCP central government, those Uyghur students who have participated or supported the protest became the victims of that painful past. It ruined a 16 year old high school student’s life, and destroyed his dreams because of a single poster, and drove him to live under that merciless shadow for his whole life. This is the essential difference between the fate of a Han Chinese and a Uyghur in China. In fact, this was the very first instance in Xinjiang Uyghur Autonomous Region of peaceful political protest organized mainly by Uyghur students alongside the extensive support of students of other ethnicities. They called on the local government to allow them rights to participate in government and political affairs, for democracy and political reforms using dialogue without violence. Obviously, that was an opportunity to open healthy communication between the government and its people, and a beneficial approach for a nation looking forward to a peaceful democracy. In those years, it was easy to find a positive atmosphere among those university students in Xinjiang as they regarded themselves as the future leaders of the country, and therefore they were very active in their studies. They have an excellent spirit and believed that they could take responsibility for their society, and work for their people after graduation. Therefore, Uyghur and Kazakh students in Xinjiang’s universities built self-organized science and cultural forums, and also launched various salons which were aimed at improving their foreign language skills and their understanding of science. Apparently, these self-organized activities were calling on young people to learn about science and civilization. To promote true democratic elections in Xinjiang Uyghur Autonomous Region. To stop the nuclear tests Xinjiang Uyghur Autonomous Region. To stop Xinjiang serving as a large labour camp for China, and to stop the unplanned immigration from other parts of China. To eagerly demand the real implementation of the autonomous law in Xinjiang Uyghur Autonomous Region. To eliminate the family planning policy for Muslims Xinjiang Uyghur Autonomous Region. To genuinely develop minority education throughout the Xinjiang Uyghur Autonomous Region. I interviewed Aziz Isa recently regarding the aims of the student protests in Xinjiang on 12thDec, 1985. He is a freelance writer and poet who had tremendous hope for that student protest at that time, and he provided some of the original materials about his ‘black’ experience, and some relevant online information or articles. In addition, as I myself worked as a civil servant for many years in Xinjiang, I have been be able to read some first-hand accounts of those events, which allowed me to understand and to write about its real motivations. I believe this evidence is very useful to improve our understanding of those events, and give us a chance to learn its true reasons and consequences. Firstly, we should admit that the demands of those students listed in part 3 of this article were the result of the observations of students who came from many different regions of Xinjiang, and which were discussed and agreed within their meetings. Therefore, all of those demands have very important and practical significance. For instance, in terms of the democratic election proposal, the Chairman of Xinjiang Uyghur Autonomous Region (XUAR) in the 1980s was Ismayil Ehmet (Simayi. Aimaiti), and most people had respect towards this leader who came from a well-educated background. However, the CCP Xinjiang Uyghur Autonomous Regional Commitee decided to eliminate Ismayil Ehmet’s position while he was away on an international visit without any acceptable public explanation. The CCP Xinjiang Uyghur Autonomous Regional Commitee justified this initially by the explanation that he had been replaced by an older and more experienced person, Tomur Dawamet (Tiemuer. Dawamaiti). Nevertheless, this rash decision by the central government in Beijing was a serious violation of the autonomous law and the local election regulations, and most importantly, it was directly in opposition to the local people’s will. Student delegates held a six hour-long meeting with the regional communist party secretary, Song Hanliang, and asked him to explain why this had happened. The most peculiar thing was how they had secretly decided to replace the democratically elected XUAR chairman Ismayil Emet while he was away on an international visit, and transferred him to Beijing without any reason. The new chairman Tomur Dawamet was an older man who came from a village official background, and he was appointed as chairman of the XUAR directly by the Beijing authorities. Song Hanliang, the party secretary of Xinjiang, was not able to convince those students of an acceptable reason for this change. From this reasonable attempt by those students to pursue their rights, we can see their practical ideas and enthusiasm to take part in the political affairs, and their spirit to encourage Chinese society to become more fair and healthy through genuine democratic reform. Furthermore, that students’ proposal has historical meaning for the people living thousands of miles away from the Chinese capital. It showed the true demands of minority nationalities, especially the younger well-educated generation who were growing up and starting to think about the progress of their society. As such it gave the central government a big shock because the people living in the capital – Beijing regarded the people Xinjiang Uyghur Autonomous Region primarily as “singers and dancers”, who would not care who was the leader of their region. Indeed, that was the first time in Xinjiang’s modern history when demands to implement democratic elections in their homeland were led by the educated generation of its various ethnic groups. That proposal not only shocked the principal party secretary Song Hanliang, but also greatly surprised the central government in Beijing, and made them realize that democratic ideas had become widespread among the people of Xinjiang Uyghur Autonomous Region as well. It is an undeniable fact that if this had happened in a democratic law-based society, it should have been encouraged because of its tremendous positive potential for social progress. Yet, it happened in a society where its own citizens’ democratic ideas can be overturned or demolished without any reason. So, we could say that the policies of a nation are the standard of its level of development or its backwardness. Secondly, more than 30 nuclear tests have been conducted between 1964 and 1985 in Xinjiang Uyghur Autonomous Region by the Chinese military without considering international criticism. Therefore, the student demands to stop these tests reflected deep concerns regarding local people’s health and its vulnerable natural environment. Since the first nuclear test was successfully conducted in the Malan nuclear test site, many strange diseases have appeared in many areas of Xinjiang, and its climate has also suffered from severe pollution. The nuclear test sites are very close to significant sites. Huang Yanggou test centre is just 270km away from the outstanding natural site, Boston Lake, which is a historic water source for Korla perfecture (Kuerle) and Qarasheher (Yanji) county where hundreds of thousands of people depend on this water to make their living. It is also just 180km from the Malan test site, and only 127km far from the 36thmission field of the second division of Xinjiang production and construction corps (XPCC). Since 1964, various cancer diseases have been spreading among the local people; among them lung cancer is the most deadly. It is well known that disease or disaster comes regardless of race or nationality. As a result, everyone living in that territory is a potential victim of those deadly nuclear tests. But, the Chinese government is not only hiding the threats posed by those nuclear tests from its own people but also hiding the real damage caused by those tests, and taking no responsibility for it. There have been reports of an injured veteran who claimed that 19 million people died from nuclear radiation during the past 32 years, while others are silently suffering the deadly effects of those tests knowingly or unknowingly. This bad affect is million times more severe than Russia’s Chernobyl nuclear power plant explosion in Ukraine. Thirdly, in terms of the Chinese labour camp issue in XUAR, on their way home to southern Xinjiang in 1985 during their summer vacation, university students had seen hundreds and thousands of prisoners who had committed serious crimes in other Chinese provinces transferred to Xinjiang in large trucks under heavy military guard. Also in the same year, many people have witnessed situations where local prison authorities set up frequent road check points in order to find the escaped prisoners of those camps. All of these facts made the local people felt hugely unsecure. In addition to this, they were told that those prisoners would be resettled in Xinjiang after the end of their criminal punishment. In fact, ever since the 1960s, large quantities of Han Chinese migrants have been settled in some of Xinjiang’s cities and well-irrigated rural areas. These Han migrants have competed for water resources, land, and job opportunities with the indigenous people, and they have various advantages over the local ethnic people upon their arrival. For example, they can become city residents very easily after they relocate to Xinjiang regardless of their village background, while the local people find it difficult to make the same transfer in their own homeland. As a result, the decision to transfer prisoners into Xinjiang and settle them there naturally made the indigenous people feel extremely worried and uncomfortable. Therefore, in 1985, the university students of Xinjiang asked their government to stop the policies which threatened to turn Xinjiang into the largest labour camp in China. The students also called for the genuine implementation the Regional Ethnic Autonomy Law in Xinjiang Uyghur Autonomous Region. From my personal working experience in the government sector, this call was strongly justified. Although the Xinjiang Uyghur Autonomous Region has been thus named for 64 years, its so called autonomous law has not yet been truly implemented. It is really nothing but a rubber stamp which was unwillingly issued by Chinese Communist Party. It is well known that China has five such autonomous regions for its non-Han ethnic minorities. The Inner Mongolia Autonomous Region was established on 1stMay, 1947; Xinjiang was made Uyghur autonomous region on 1stOctober, 1955; the Guangxi Zhuang Autonomous Region was created on 5thMarch and Ningxia Hui Autonomous Region on 25thOctober in 1958, and the Tibet Autonomous Region on 9thSeptember in 1965. However, there are no detailed legislative rights and conditions in terms of how to apply autonomous rule inside the above named autonomous regions. This is comparable to a situation in which there is criminal law without any code of criminal procedure. In the same way, we could say that the law without its clear code of conduct is equal to nonsense. Or we even can use the Kyrgyz saying “plenty of hats but not enough Kyrgyz to wear them”. Unfortunately, all of those autonomous regions in China have been treated by the CCP in exactly the same way as other Han Chinese provinces although on paper their right to practice their own autonomous legislation and government is enshrined by national constitution. These realities are enough for us to confirm that Chinese government has continuously deceived its minority nationalities. And so through its unequal policies it has never been able to satisfy the people of those areas. Thus, those student protests which occured in Xinjiang in 1985 not only represented the voice of Xinjiang’s Uyghur people, but also represented the natural hopes of other ethnic minorities who are living under China’s rule. Furthermore, as Muslims who have believed in Islam for more than 1000 years, Uyghurs muslims are not willing to follow the family planning policy in XUAR. They believe that a child is a precious gift which has been given by Allah to good people, and the life necessities for any child will be provided by their parents through their hard work, just as any other creatures of Allah. The Uyghurs do not have a tradition to give their children to somebody else or sell them as a commodity. Therefore, the college students in Xinjiang brought forward the proposal to stop the family planning policy towards Muslims in their region. Since then, we have witnessed the aggressive implementation of the family planning policy in Xinjiang, to the extent that government workers in that sector have forcibly inserted intrauterine contraceptive rings into the bodies of village woman working in their fields for the birth control reason, and have given injections to women who are eight months pregnant in order to provoke an abortion. The inhumane behaviour of those government officials has given rise to widespread opposition by the local people, and it is directly responsible for recent incidents such as arson attacks on family planning stations and the killing and wounding of family planning officials. As a consequence, this has created deep conflict between local citizens and its government officials. We cannot blame those local people for this response because their children have been killed, the reproductive rights of women have been trampled on, and various new women’s diseases have developed through these policies. These are facts that no normal human being can accept, and they have inevitably provoked violent behaviour from the vulnerable public. Uyghurs believe that as long as the extra Han migrants can be controlled, there is no need for family planning for Muslims in their land, and there will not be a problem with over-population. This is in line with local custom and its regional realities. The last point of concern is the call for the real development of minority education throughout the region. In terms of this demand, we have ample facts related to the actual educational conditions of the schools, colleges and universities around the XUAR. There are significant differences between ethnic minority schools and Chinese schools. The teaching facilities and the content of text books used in these schools were different at that time. For example, the Han Chinese school students were provided with better accommodation and used better teaching equipment than minority schools. There were no officially published Uyghur textbooks available, and so Uyghur teachers used hand outs which they had translated by themselves, and the contents were copied by students during their lecture. Since it takes a long time to translate science related materials into the Uyghur language and a long time to get them published, this type of book was ready for minority students at least three to four years behind the Chinese students. Thus, it directly affects the teaching quality, and hinders the Uyghur students to learn more up to date knowledge. There were no science and technology related books in Uyghur available in book stores. Unfortunately, no one had truly considered the quality of teaching for minority students. In 1985, going abroad was an extraordinary dream for the minority students in XUAR, while approximately 30 thousand Han Chinese students were able to study abroad at that time using government funding. These facts affected the normal educational development of minority students, and certainly made them feel that they were heavily marginalized and excluded in terms of equal opportunities for education. Just two days before the student protest, a very strange thing happened. On 10thDec, 1985 it was announced the principal organizer of that event, Mijit Qurban (Mijiti.Kuerban) had died from a sudden heart attack. 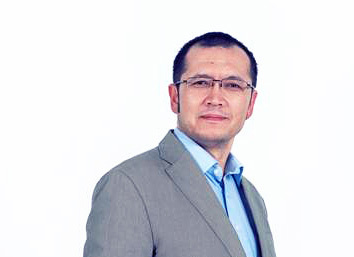 Mijit was the Chairman at the Student Union of Xinjiang University, and the Vice-chairman of the National Federation, and no one had previously been aware that he had heart disease. His sudden suspicious death made the students grieve, and increased their resolve to protest. Lacking other communication tools student volunteers went on foot to spread the relevant information among the students in universities and colleges in Urumchi. They also posted letters to inform other students all over Xinjiang. As a result, 15,000 students attended that monumental protest in 1985, and thoughtful school youths whom were living thousands of miles away from Urumchi, like Aziz Isa, were inspired to take part in that event, and were affected by its consequences. Soon after the protest, most of the organizers were arrested, investigated and expelled from their college or universities. In addition, the majority of the participants in that event were also punished and politically persecuted. Some of them were sent to prison for many years. Aziz Isa’s case is a typical and living example for us to understand the unfortunate destiny of hundreds of thousands of Uyghur youths who were mistreated by the Chinese authorities after that event. From the above facts regarding that student protest, we are able to see the real origin of the “Uyghur terrorists and separatists” in Xinjiang Uyghur Autonomous Region. Although the 1985 protest in Xinjiang did not have any big impact on Chinese reform as did other similar events which happened in other parts of China, but this event shows the evidence of the Uyghur people’s awakening, and their strong desire for democracy. They had learned to assert their own citizens’ right to take part in democratic elections; and most significantly, they had learned to say ‘no’ to their government when they saw that its behaviour was unacceptable, even though there were no opportunities for meaningful communication. It is well accepted that any creature has its limit for tolerance. If government is over-extended and becomes a tool to restrict or repress the civil rights or freedom of its citizens, society cannot function normally, and the people who are suffering from excessive pressure may easily explode like an over-inflated balloon.